Craftsman style meets modern design with open concept floorplan, gourmet kitchen with double door pantry, hardwood floors, gas fireplace, and built-ins. 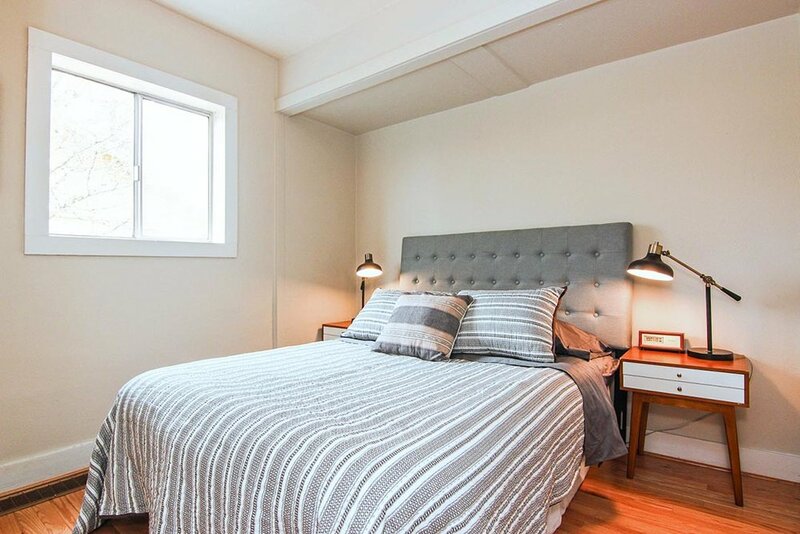 Three bedrooms up including a master en-suite with soaking tub, step-in shower, and walk-in closet with custom built-ins. 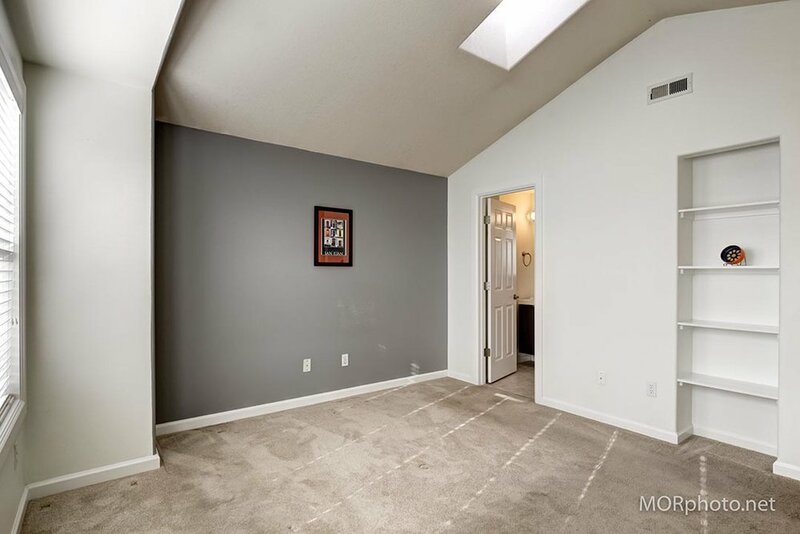 Lower level features 4th bedroom or family room plus a bonus room. 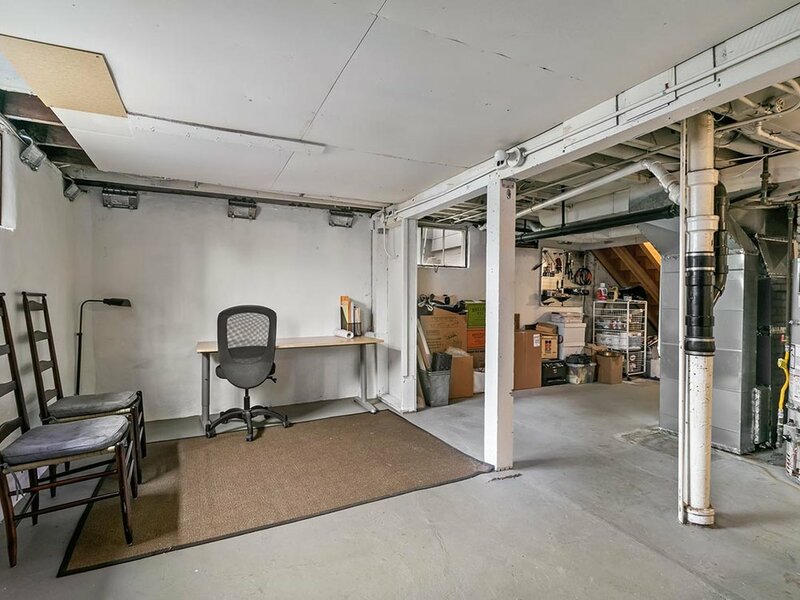 1-car tuck-under garage. Low maintenance yard. Walk to school, shopping, parks and more! 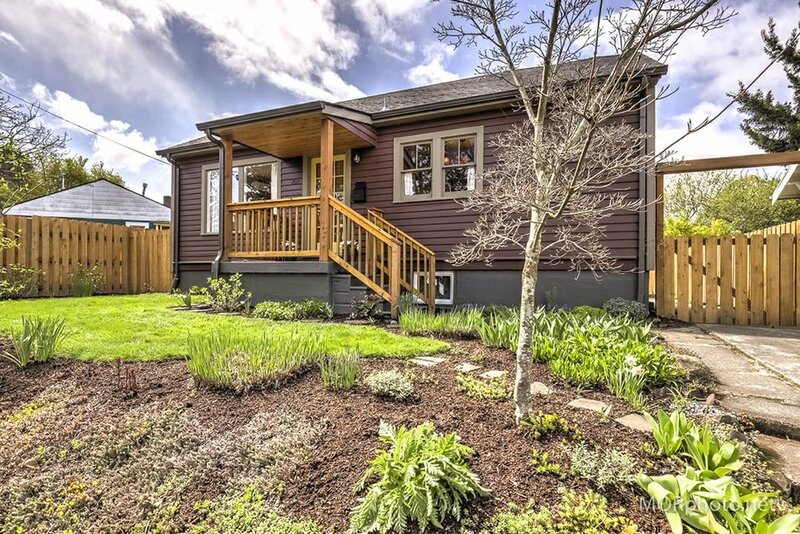 “Charming” may be overused, but there’s no better word to describe this lovely home. 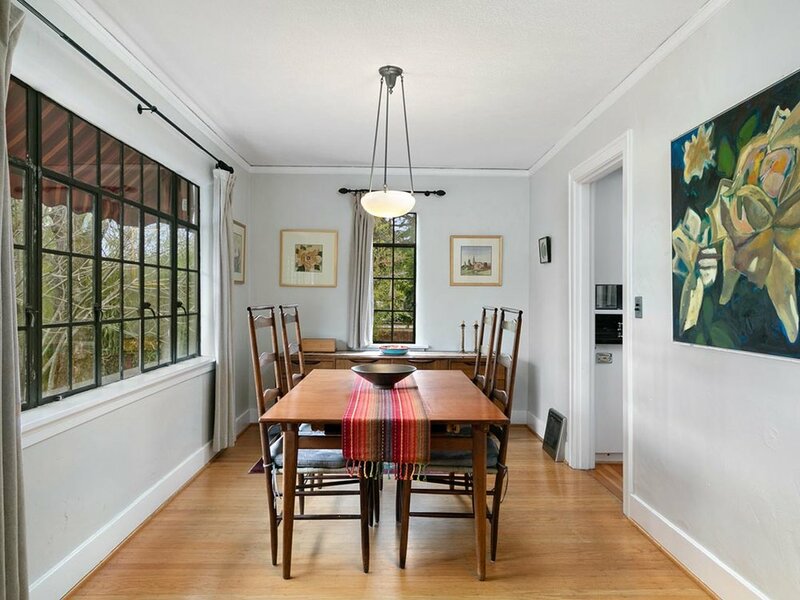 Wonderful light and views through gorgeous gridded windows. 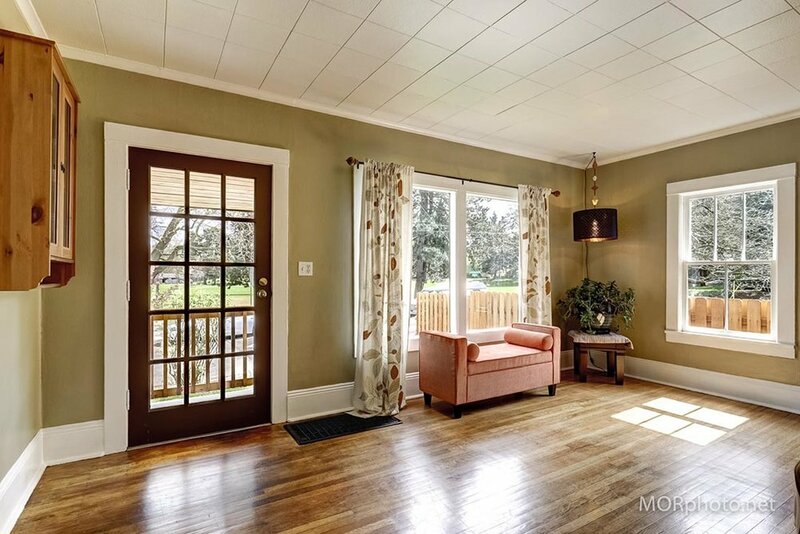 Gracious living room, formal dining room, sunroom overlooking verdant gardens and treetop vista. 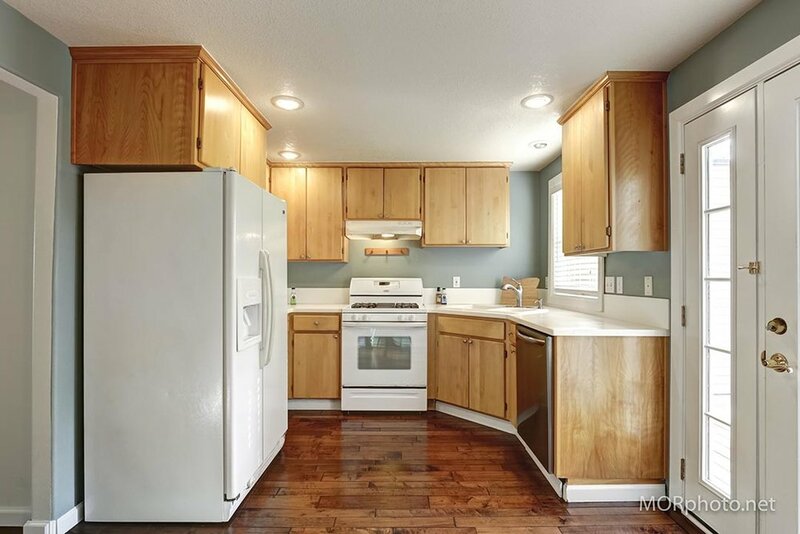 Sweet, efficient kitchen. Many original features and thoughtful, high-quality updates. 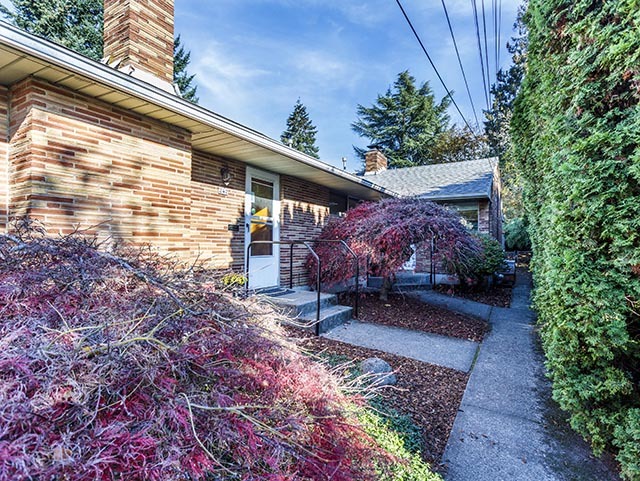 Full basement with good headroom, seismic upgrades. Blocks to Beaumont Village, Hollywood, Grant Park. 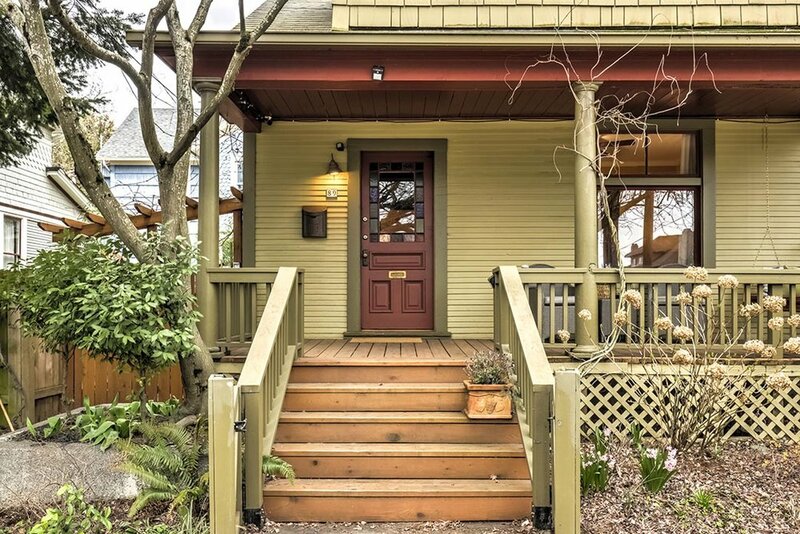 Coveted schools, beautiful neighborhood, delightful home. 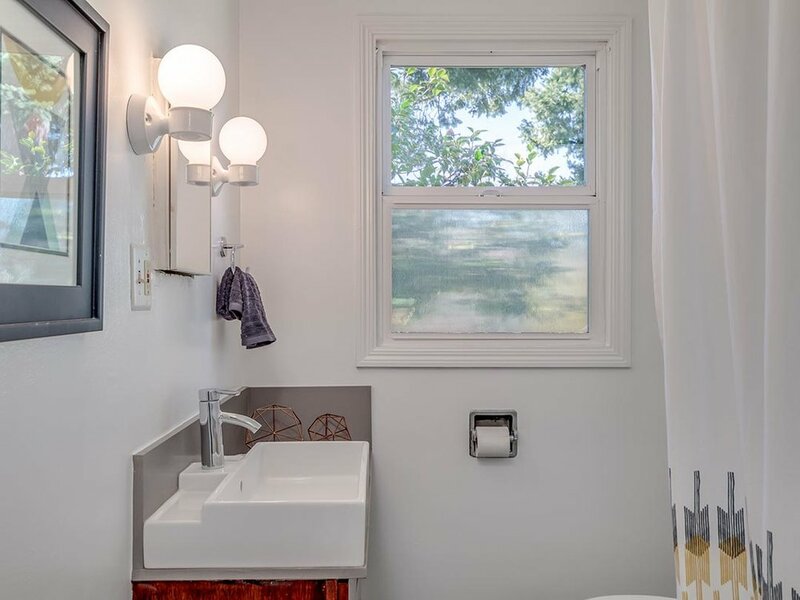 This gorgeous restored vintage home is very light, bright, and airy, and boasts historic charm with modern upgrades throughout including newer eco-friendly insulation, metal roof, updated wood windows, newer electrical panel, copper plumbing, and sewer. 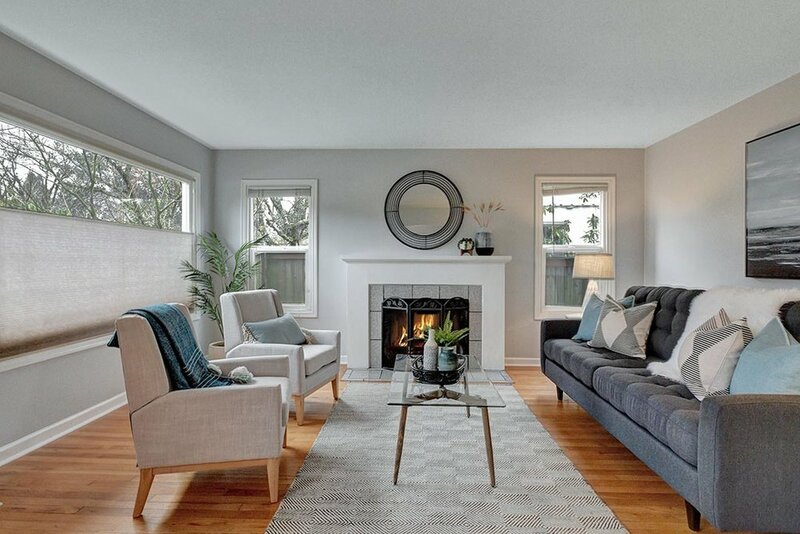 Custom kitchen renovation with fir cabinets and island, vaulted ceilings in large and luxurious upstairs bedrooms with walk-in closets and fresh paint inside and out. Backyard is large and fenced with a flagstone patio just steps from N Williams shops and restaurants. 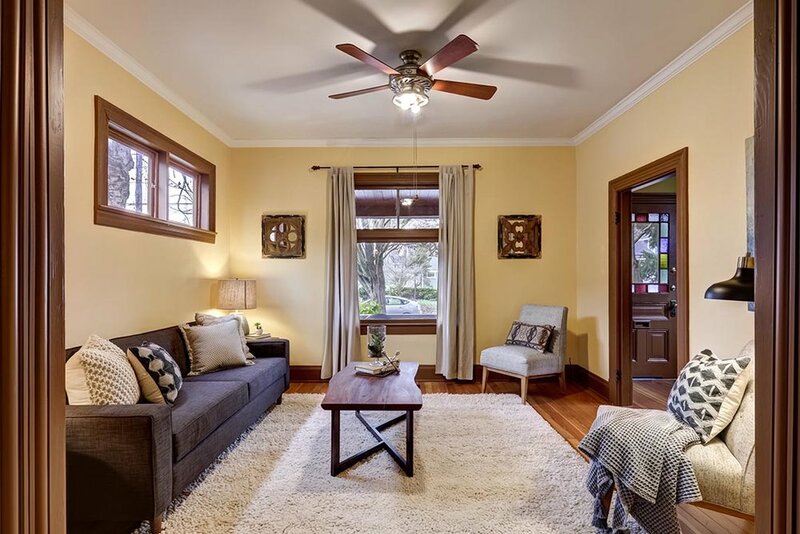 Hot Dekum Triangle, 1925 bungalow with original charm and updates for easy living. 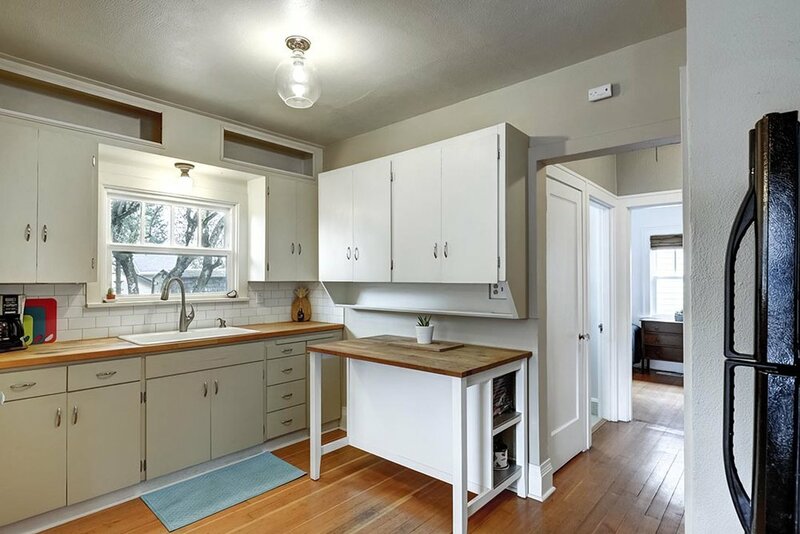 Light-filled living room, kitchen with eating area, two bedrooms, and bath on the main. 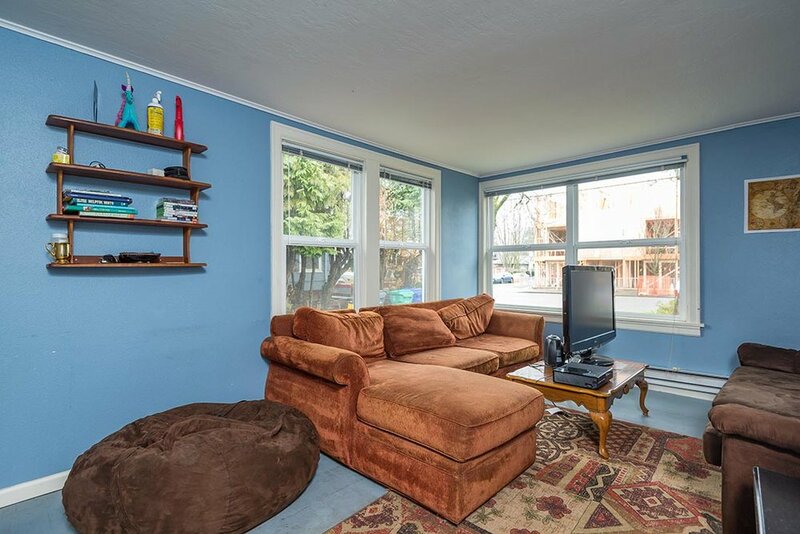 Additional living space in finished basement including two bedrooms, bath, and laundry. 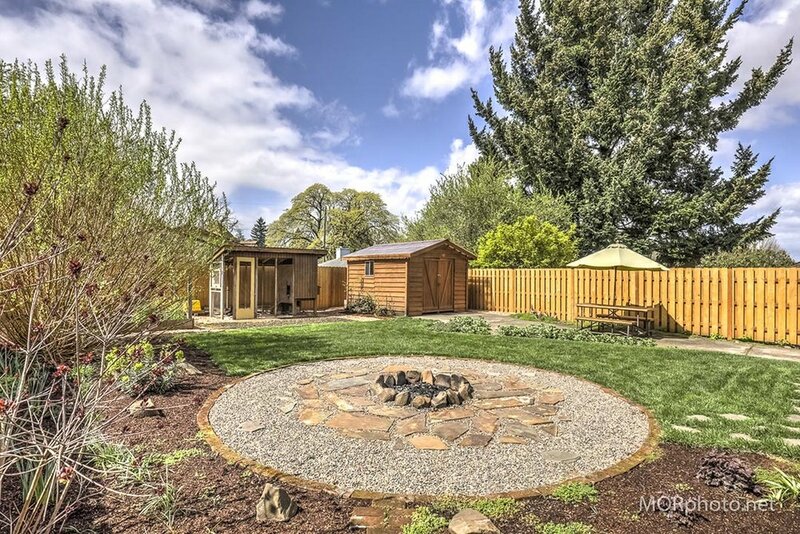 This gardener’s paradise is beautifully landscaped and includes outside seating area with fire pit, chicken coop, and garden shed. 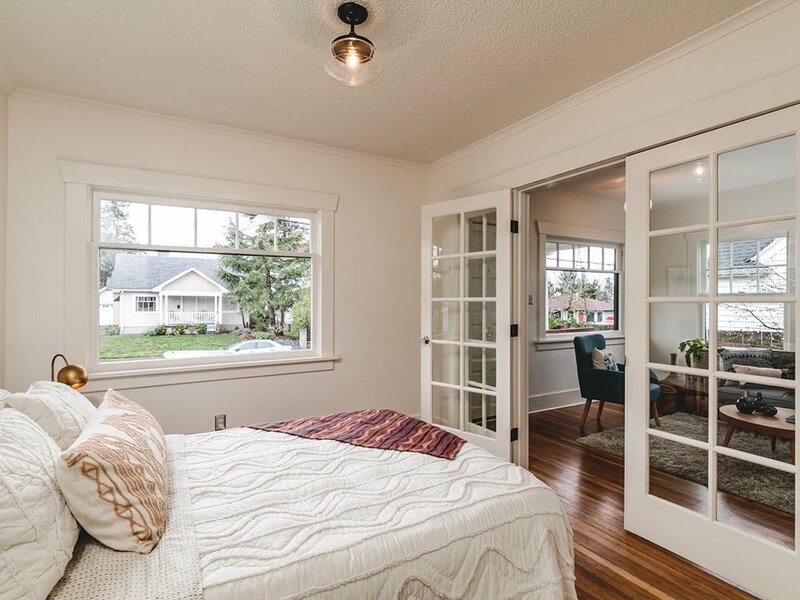 Come create your dreams in this cozy home! 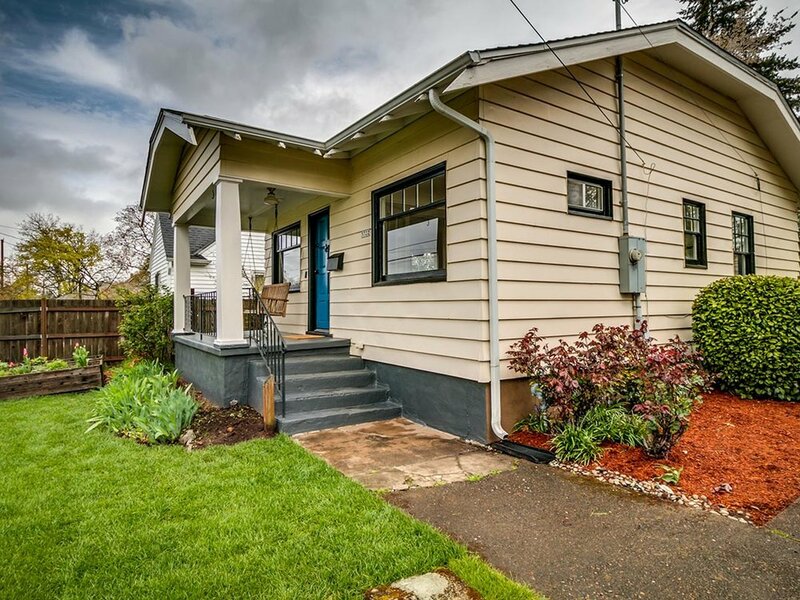 This sweet Vernon bungalow is loaded with charm and features a lovely front porch with swing, refinished hardwoods, subway tile backsplash, butcher block counters, tile kitchen floor, built-in eating nook, hex tile floors, and full basement with high ceilings perfect for extra living space. 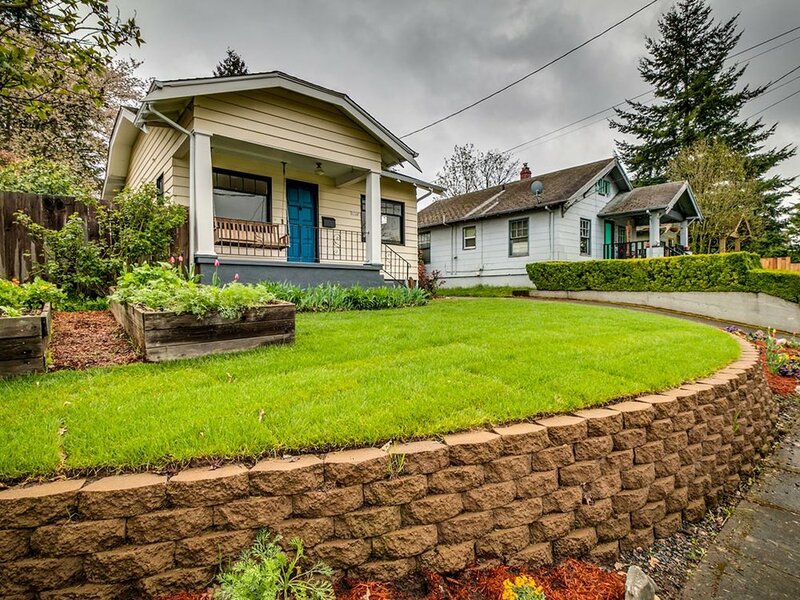 Front yard has raised garden beds while backyard is fully fenced with a patio and detached garage perfect for workshop or studio. Easy walk to Alberta Park, Tea Bar, Handsome Pizza, and Prospect Bottle Shop & Bar. Dialed in darling on a sweet street in Roseway. 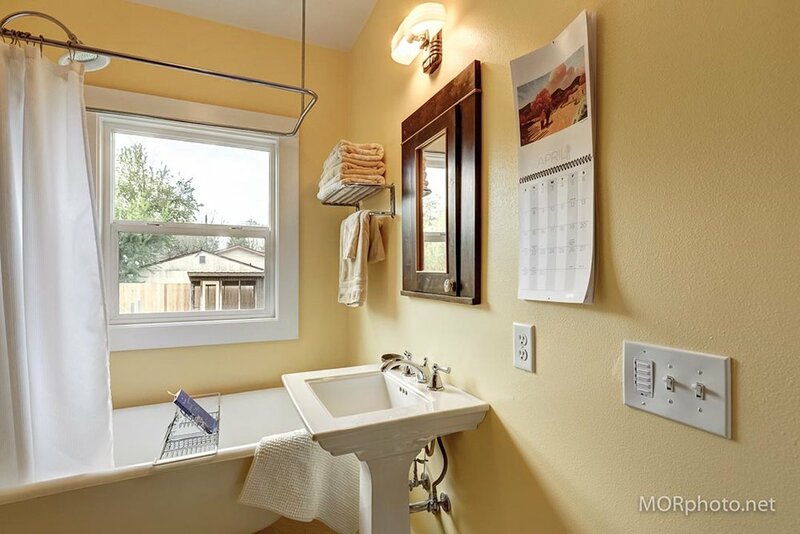 Modern paint and fixtures combined with vintage charm and original character. 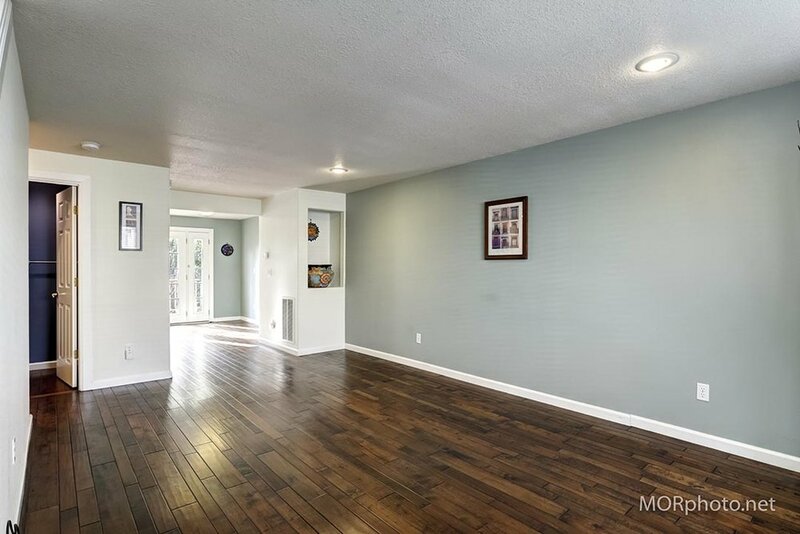 Wood floors shine through out a tidy open layout. 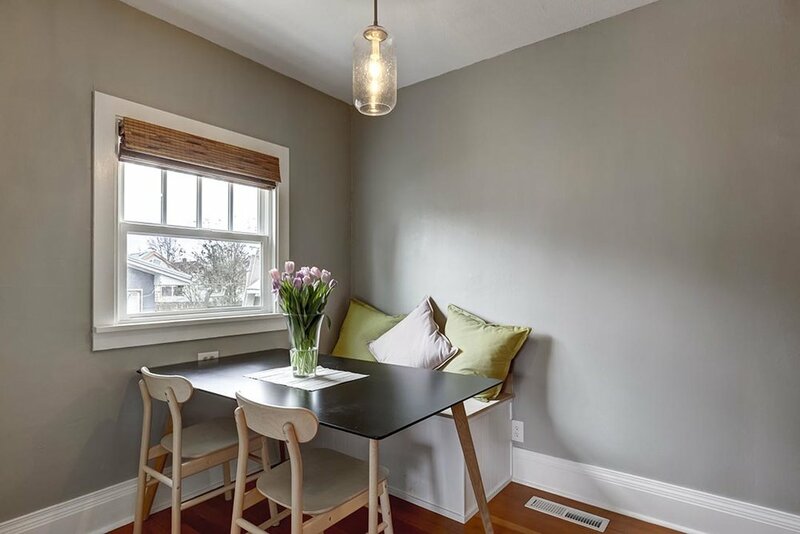 Built-in storage bench anchors well-defined dining area connected to kitchen and living room. 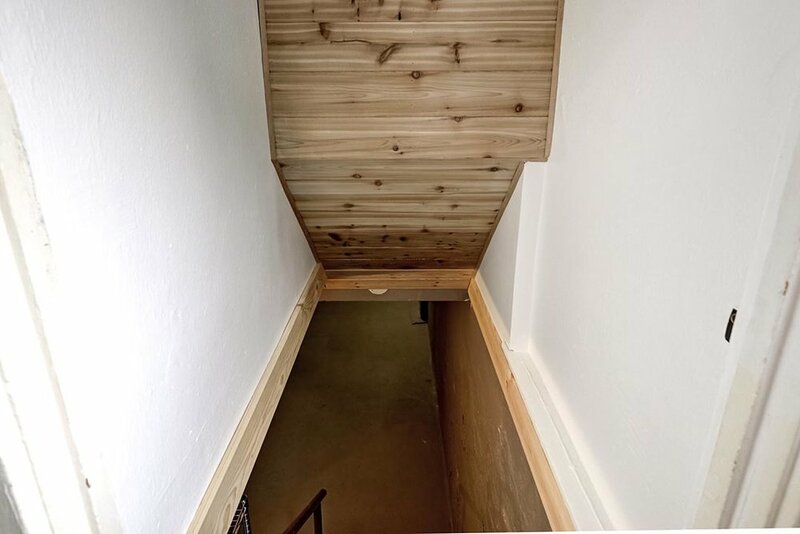 Tall ceilings in unfinished basement. 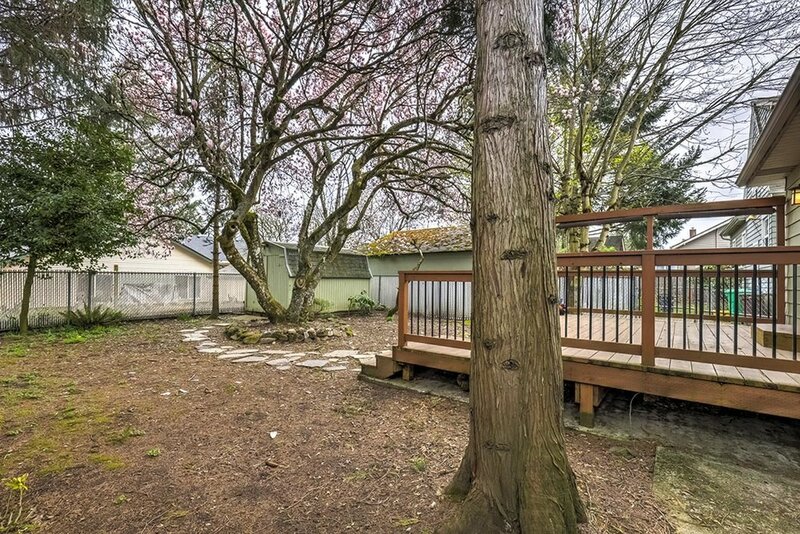 Established yard with blossoming trees graces a completely fenced back yard with a large deck. 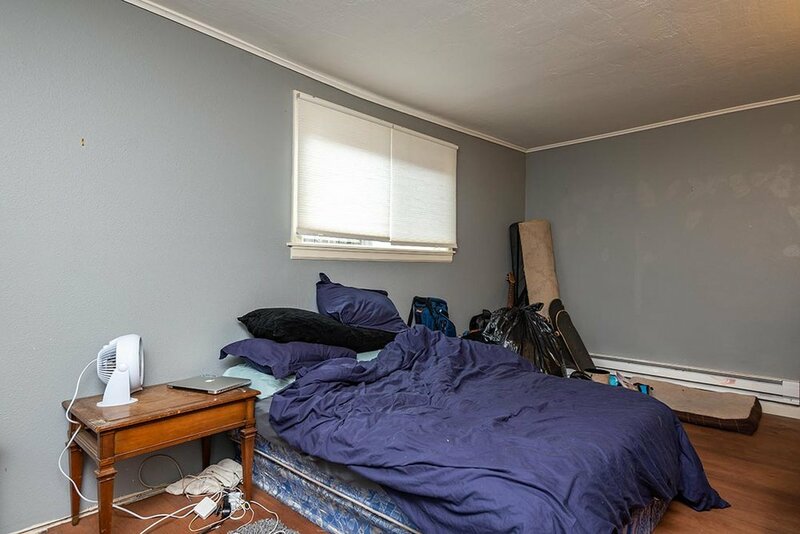 New attic insulation since HES report. Welcome home to Roseway. 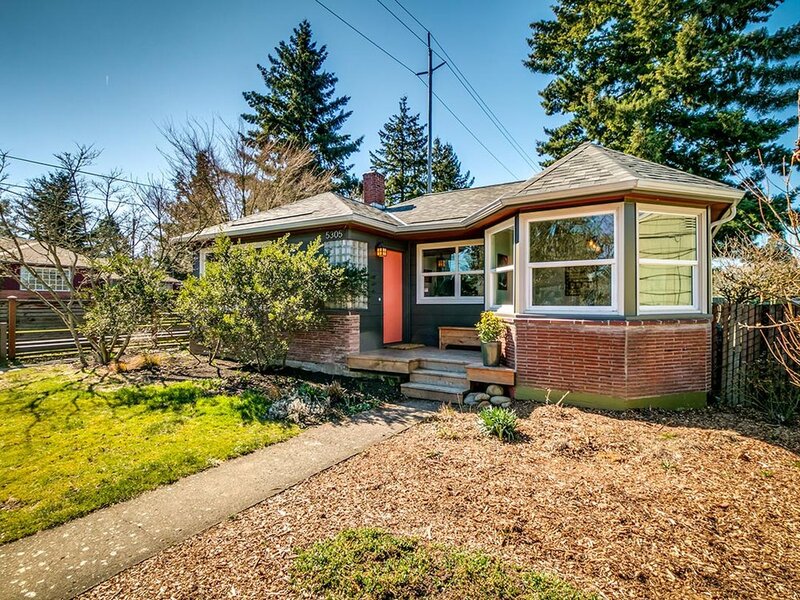 This adorable 1913 bungalow that lives like a ranch. 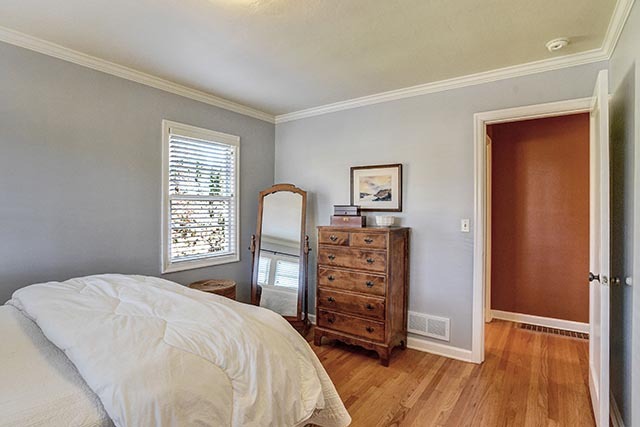 Wood burning fireplace, newer hardwood floors and furnace, tiled bathroom, and a claw foot tub. 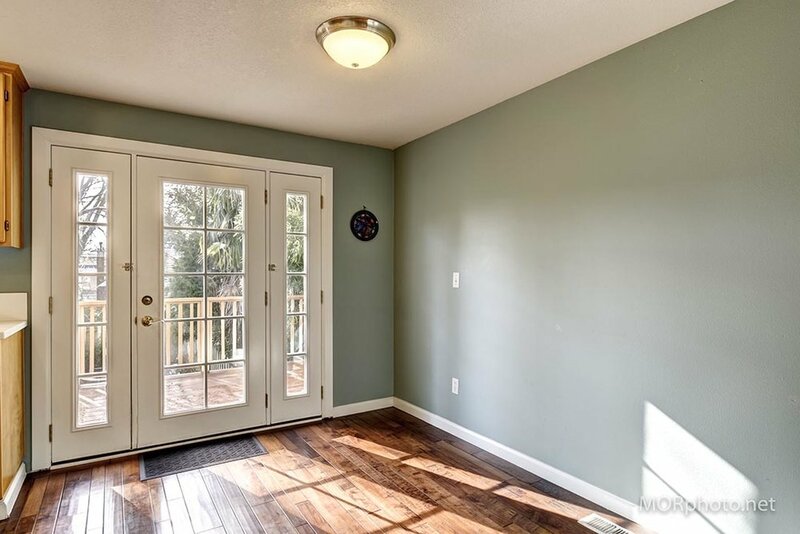 Mud/Sun room/office off of kitchen opens to a large, fenced-in backyard with shaded pergola, mature landscaping, privacy, garage access, and a brick patio. Semi-fenced driveway can be used as an additional outdoor space. 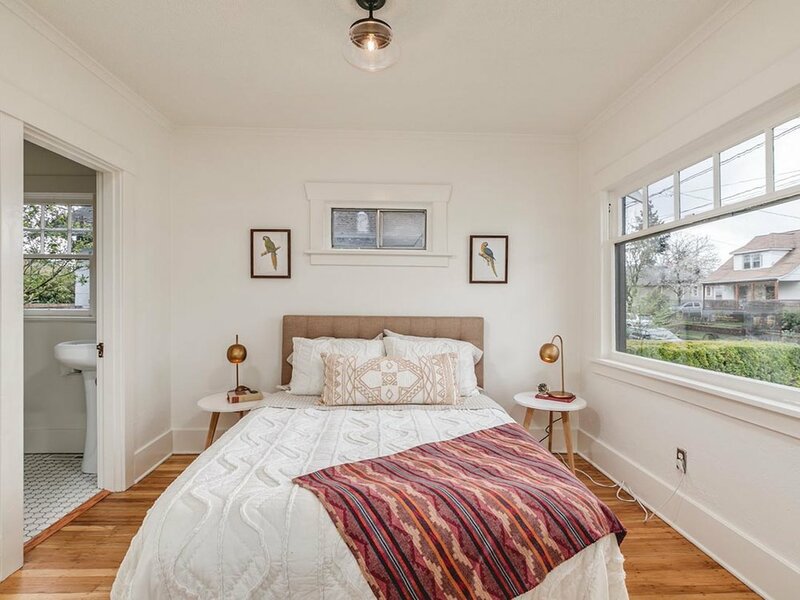 Close to all that Roseway has to offer, plus minutes to downtown Portland, Rose City Park Golf Course and trail, parks, and the Hollywood Farmers Market. 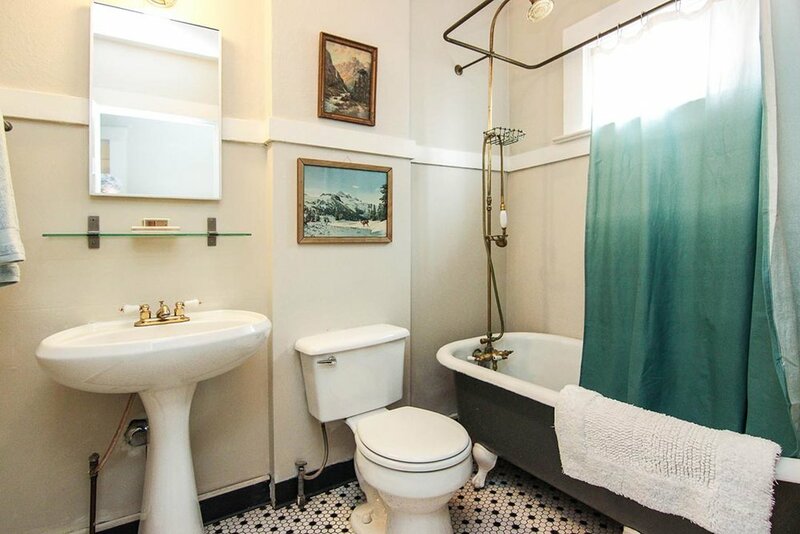 Step back in time in this Old Portland home. 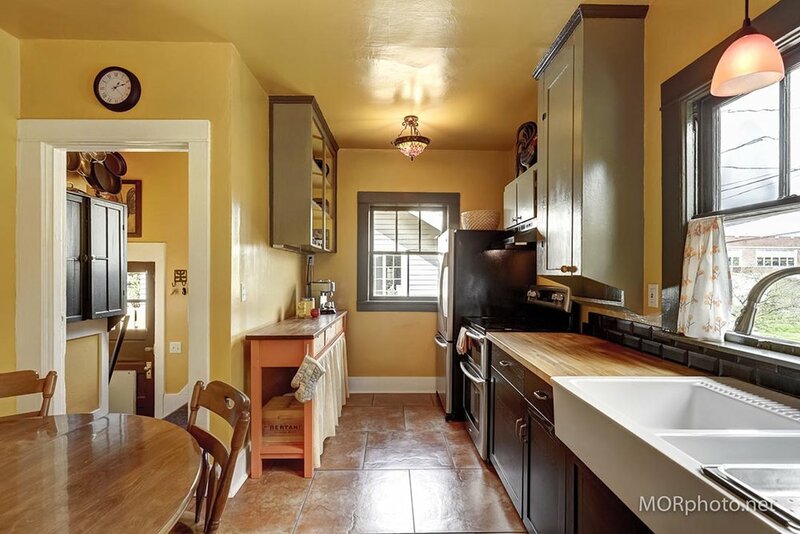 This home has the perfect blend of vintage character and modern convenience. 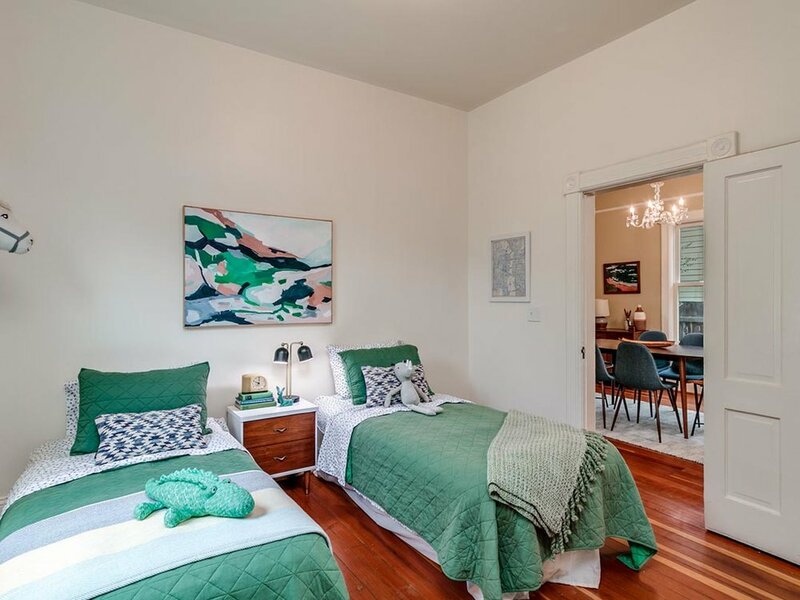 Features include high ceilings, a stained glass front door, a butler’s pass-through in the large formal dining room, a spacious kitchen and pantry, and a sunny balcony off the upstairs master bedroom. 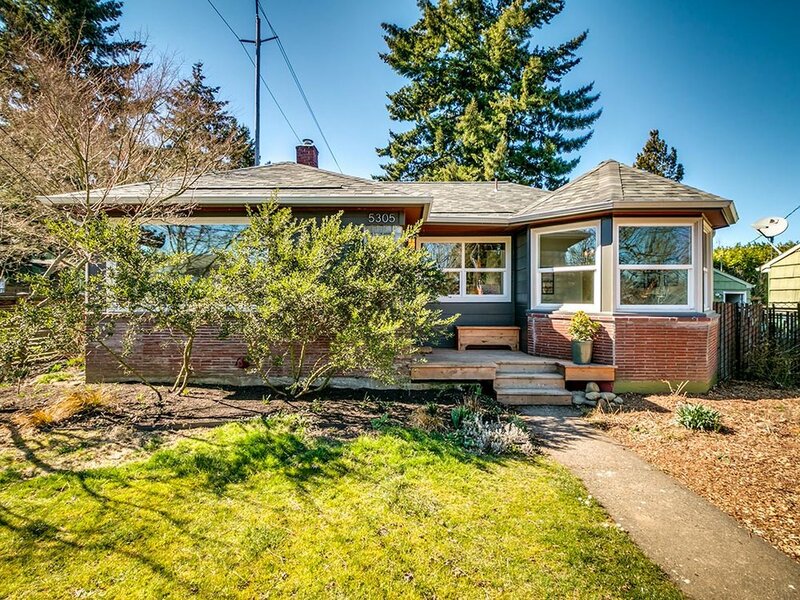 This sweet 1949 ranch sits on a secluded quiet corner in peaceful Concordia. 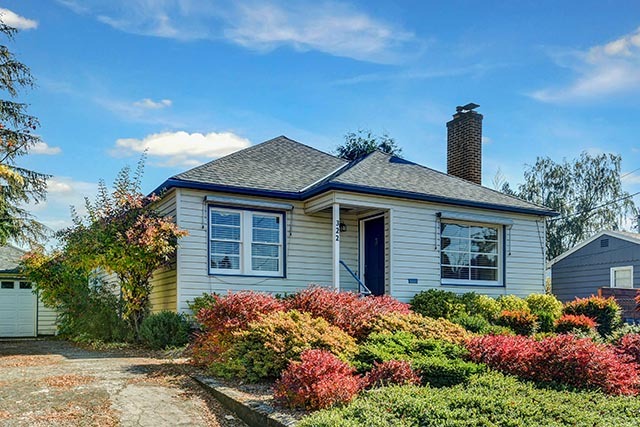 The house is true to era with hardwood floors, large windows, subway tile kitchen backsplash, quartz countertops, new interior paint, new roof circa 2015, newer windows, and earthquake retrofitting. 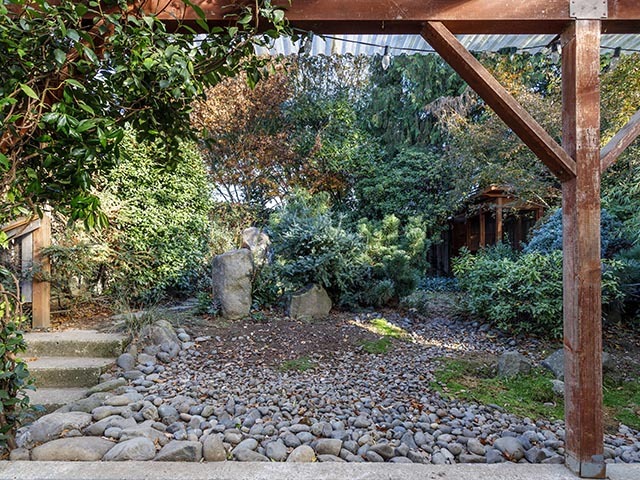 The fully-fenced yard and garden offer a serene sanctuary with covered deck, patio with fire pit, and working greenhouse ready for winter vegetables. 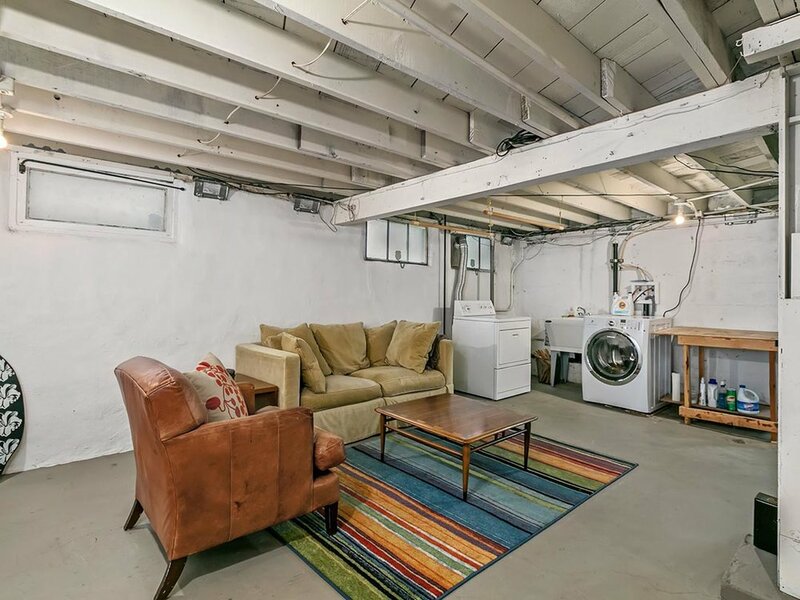 All this plus a good-sized detached garage that could make a great studio or ADU. This well-loved “urban farm” sits just two blocks away from Portland’s new restaurant row on NE 42nd Ave! 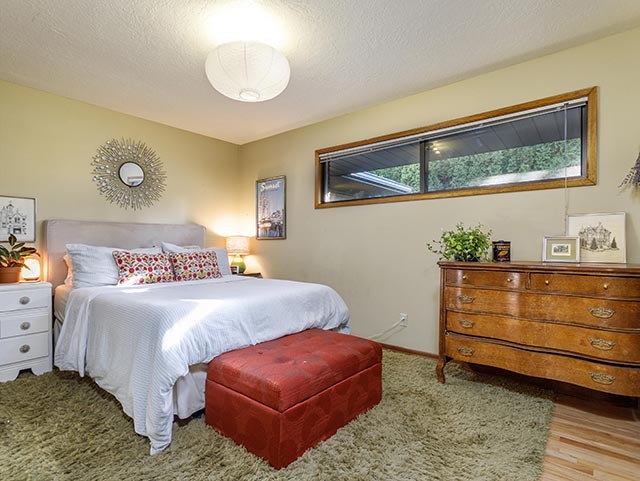 This mid-century modern lives large and offers ample space. 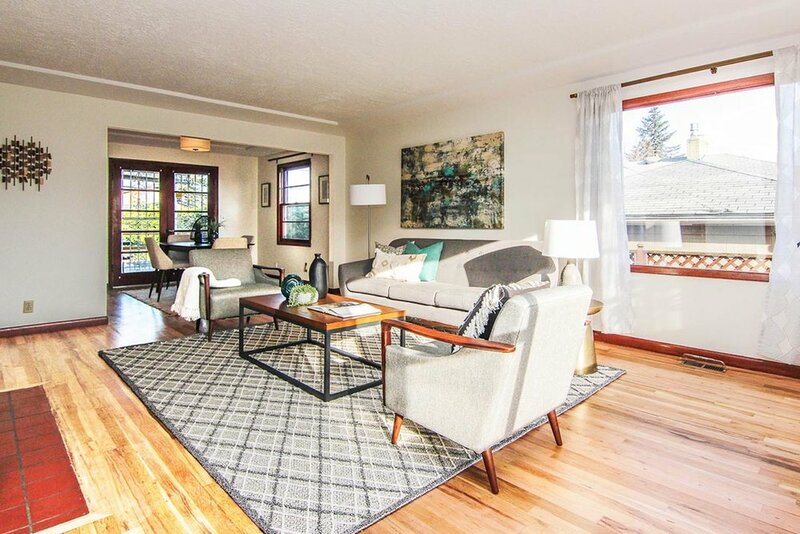 The sunlit living and dining room flow out to the back covered patio. Plant your veggies in the raised beds. Have a lot of gear? 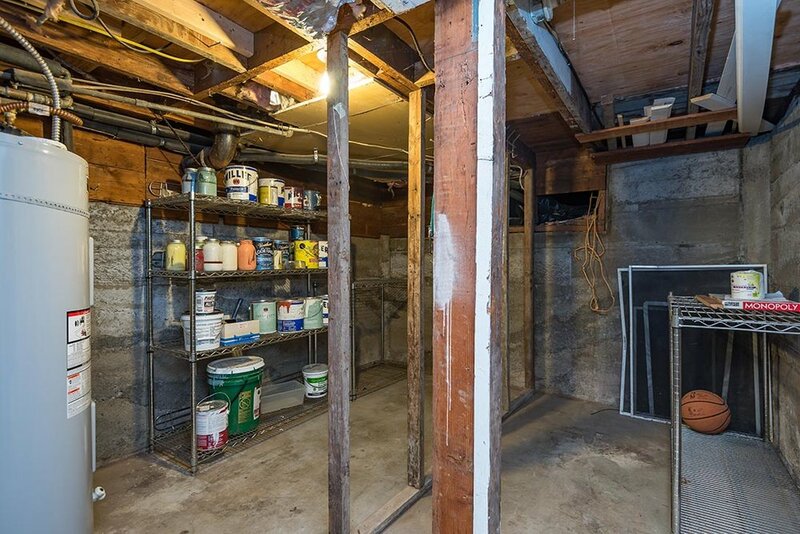 No worries, the two-car garage will hold it all. 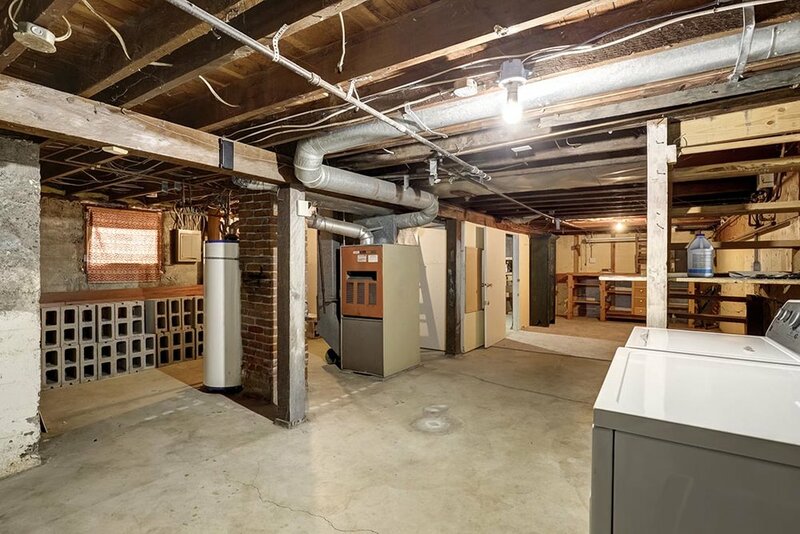 Did we mention the amazing basement with a full bathroom and finished bonus room, complete with vintage features? Ready to KonMari your clothing? 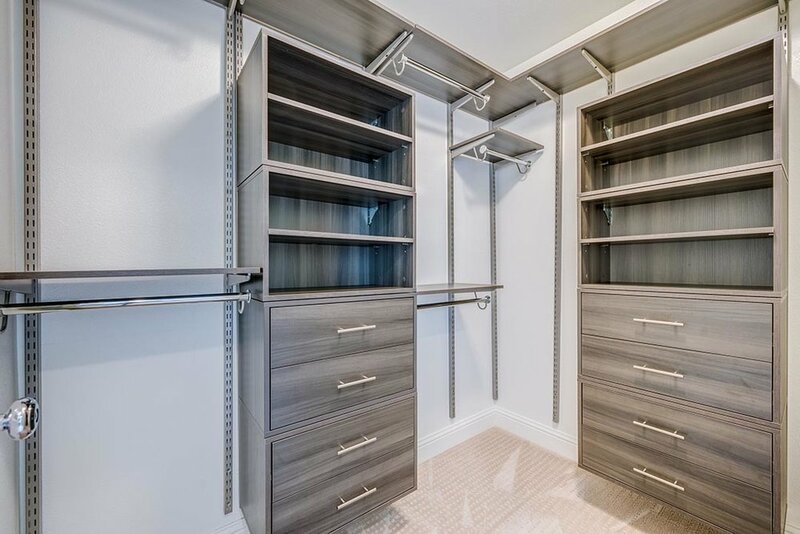 The custom cabinetry in the main bedroom awaits your touch. 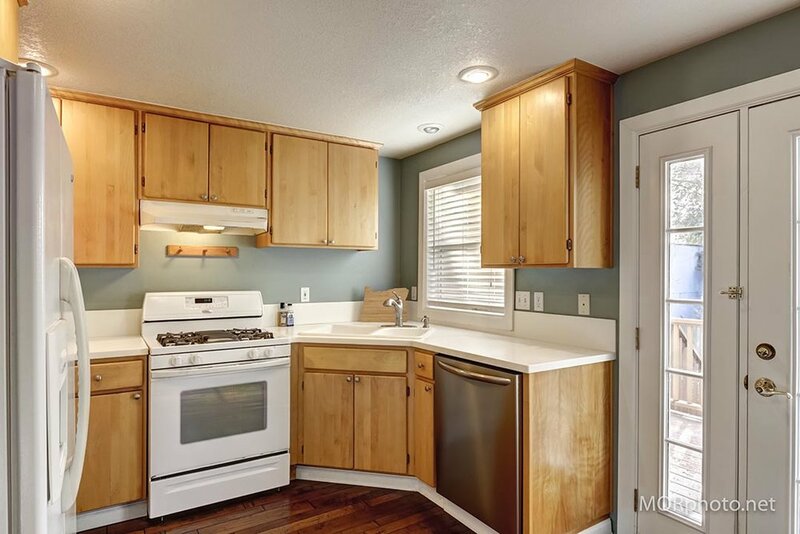 A great income property, this home previously rented for $2600 per month. 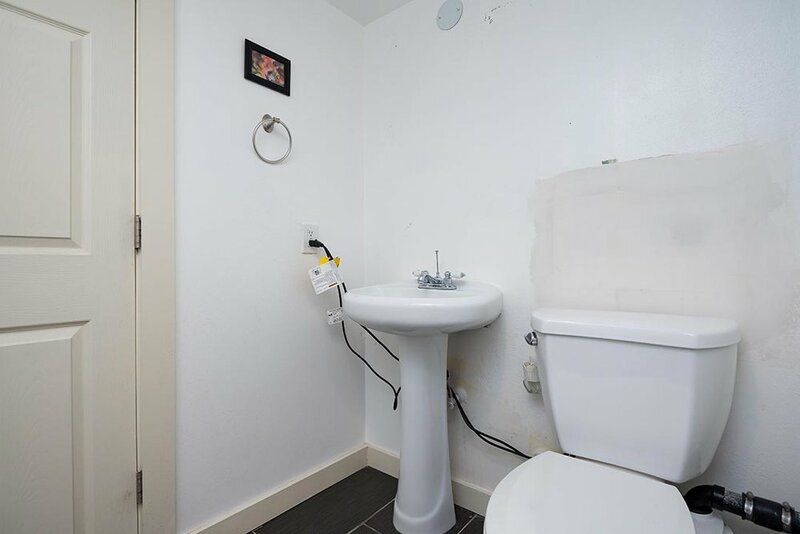 Two bedrooms and one bath on main level. 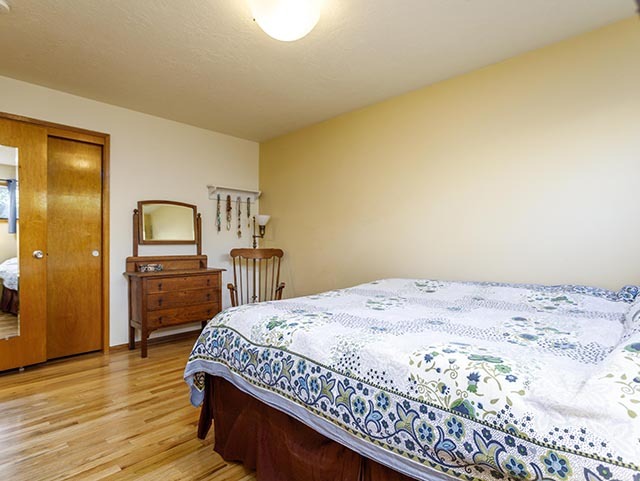 Full bathroom and bedroom in basement. 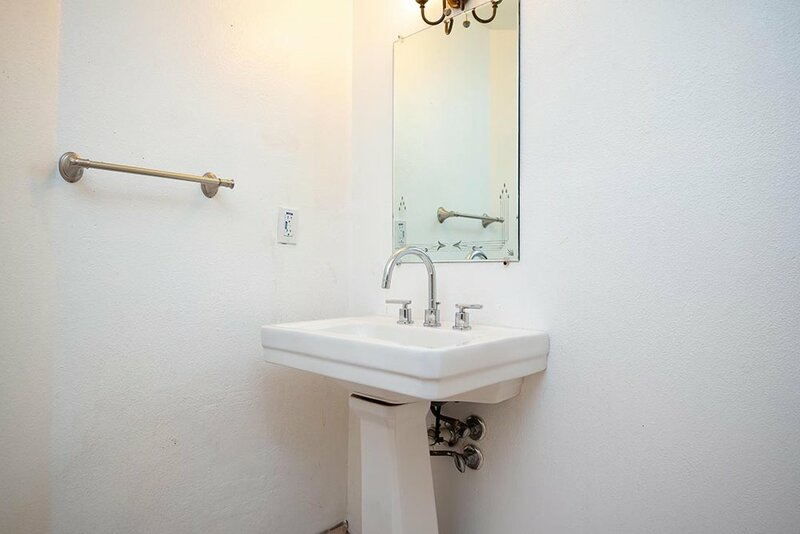 Studio in back of house also has a full bathroom. 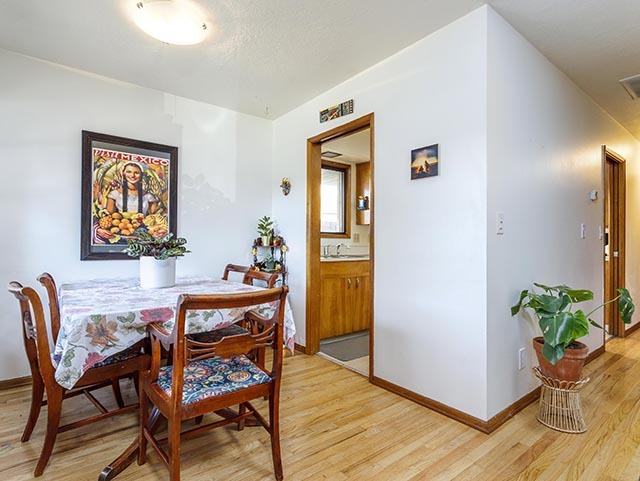 Great location—close to all that Alberta has to offer and just four blocks from The Kennedy School. 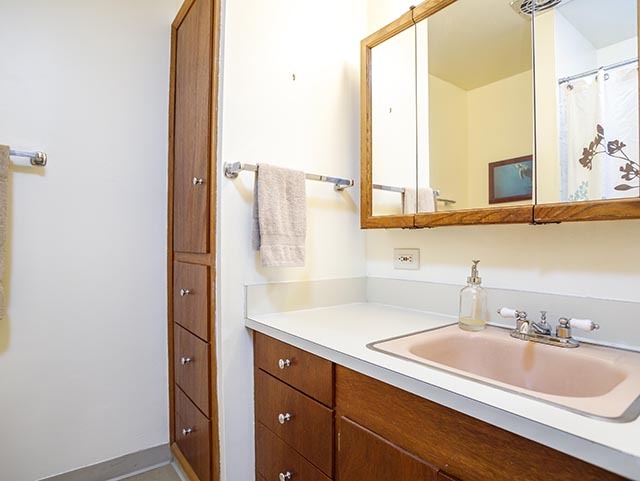 Updates include kitchen remodel, remodeled bathrooms, updated electrical panel, and newer siding. Cute Cape Cod in Roseway! 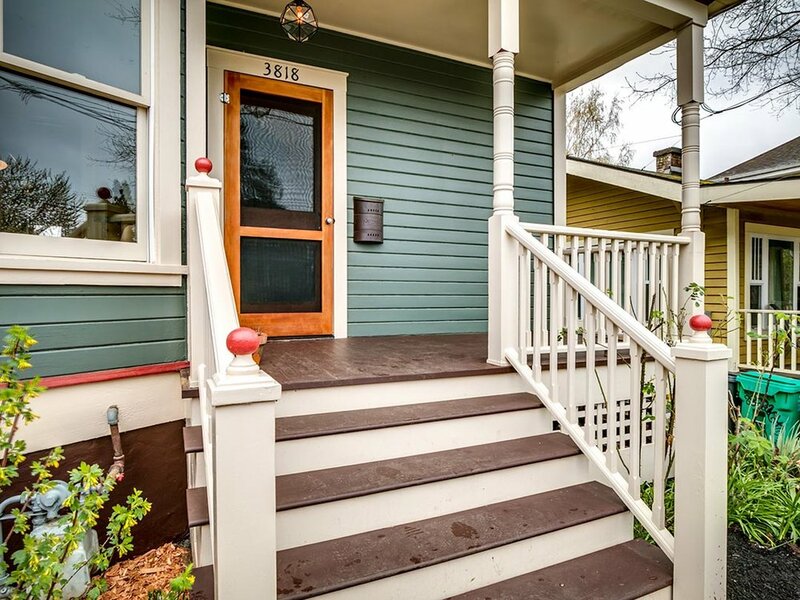 Walk through the picturesque picket fence into your new dream home. Amazing floor plan with open living spaces, two beds/full bath on main and master suite upstairs. 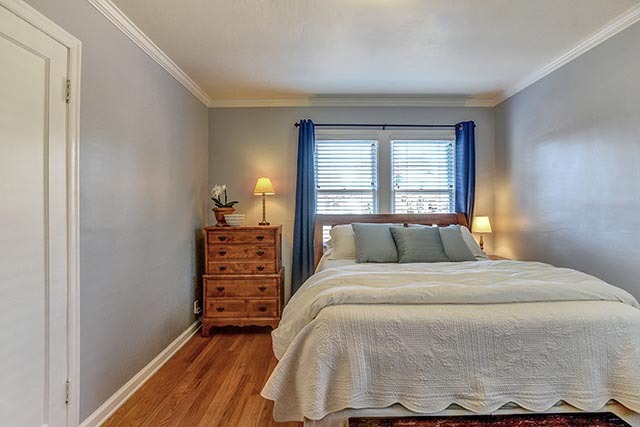 Hardwood floors throughout, charming built-ins and tiled bathrooms. 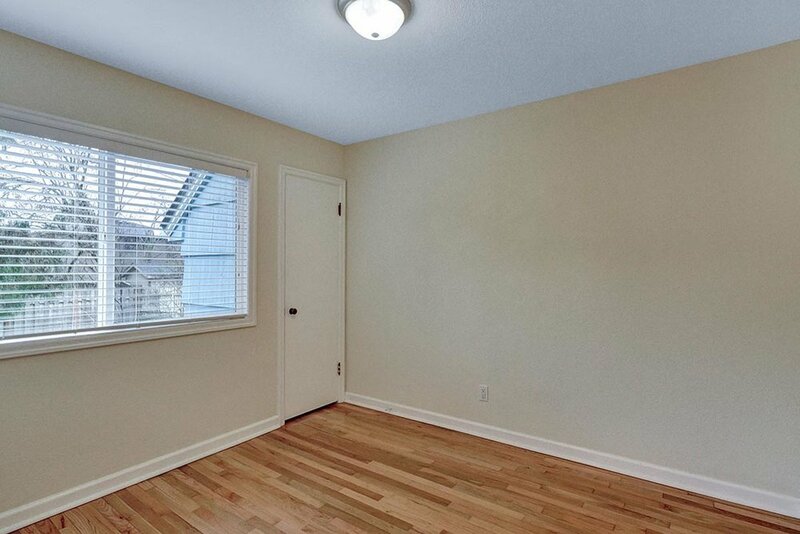 Spacious fully fenced yard with patio and garden beds. 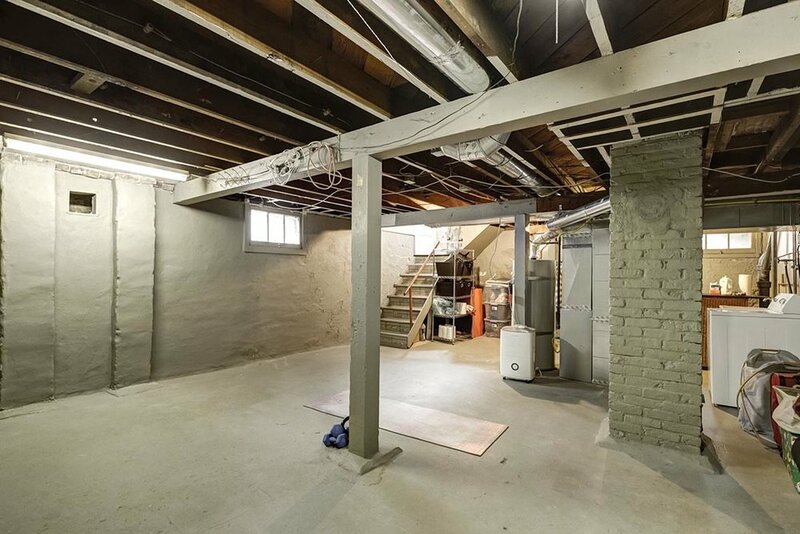 Attached garage and full basement for plenty of storage and room to grow. Not far from grocery, restaurants and coffee! 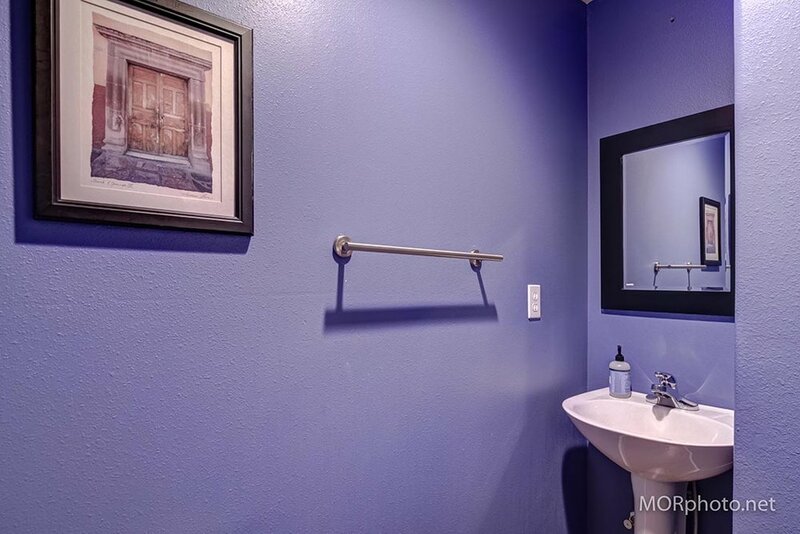 The elusive unicorn of multi-family properties just hit the market! 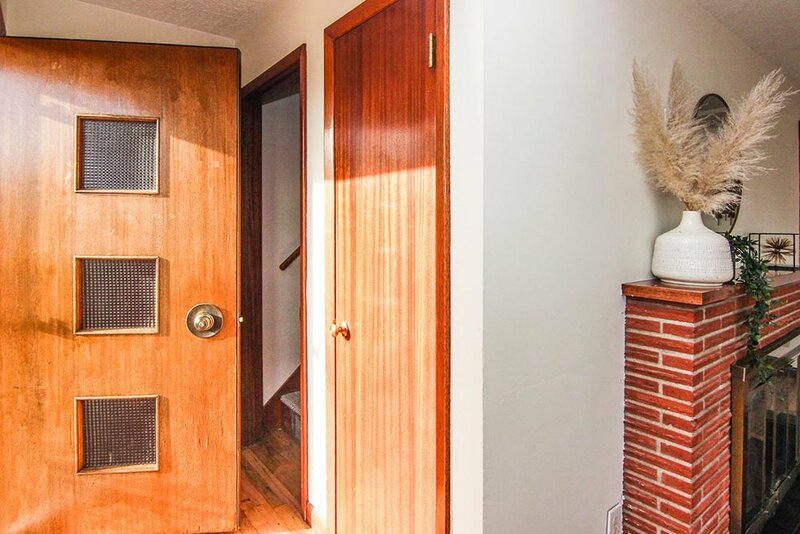 This classic 1962 brick gem hides its delightful interior. 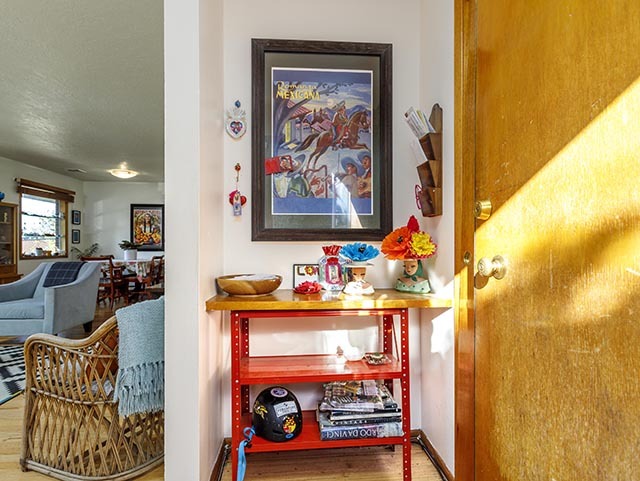 The unexpectedly large units boast the details you hope for. 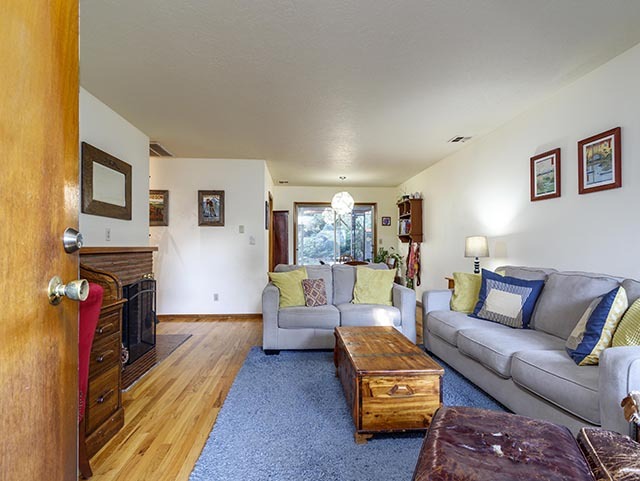 Plenty of room to spread out in surprising lower level family rooms with 2nd fireplaces and baths. Each unit lives like a single-family home. 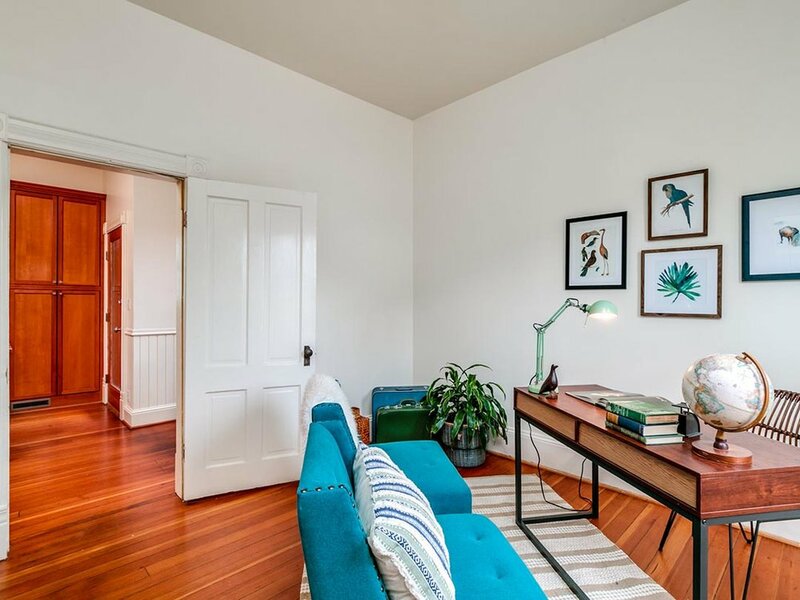 Perfect location to grab public transportation, good eats, fresh farmer’s market produce and get your work-out on in Mt Tabor Park. 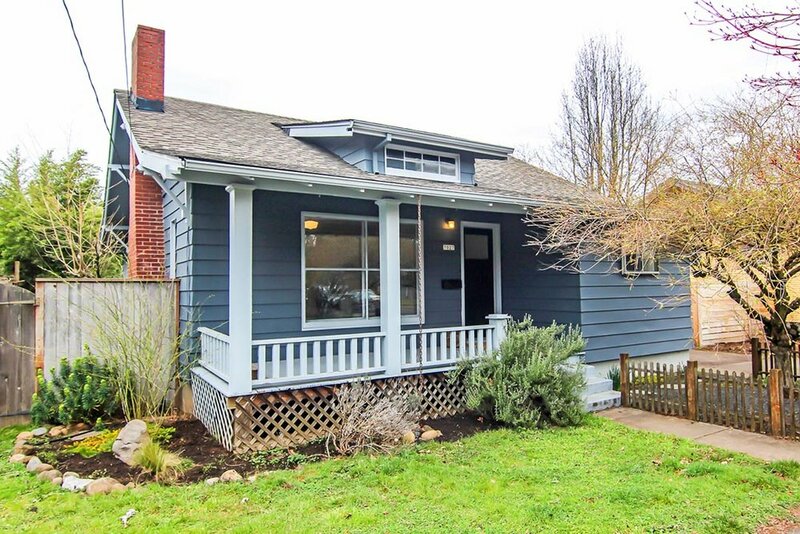 Adorable Cape Cod in the hot Montavilla neighborhood. 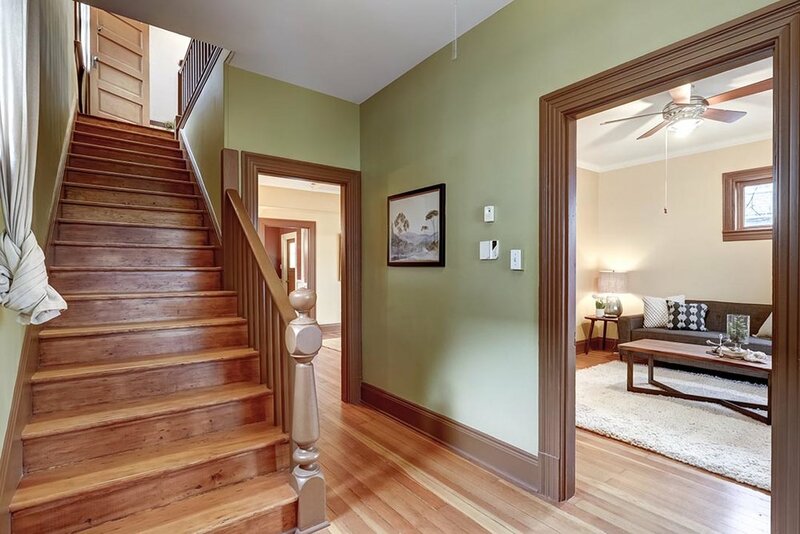 Great circular flow on main with tons of natural light, warm hardwoods, vintage details, and coved ceilings in the living and dining rooms. 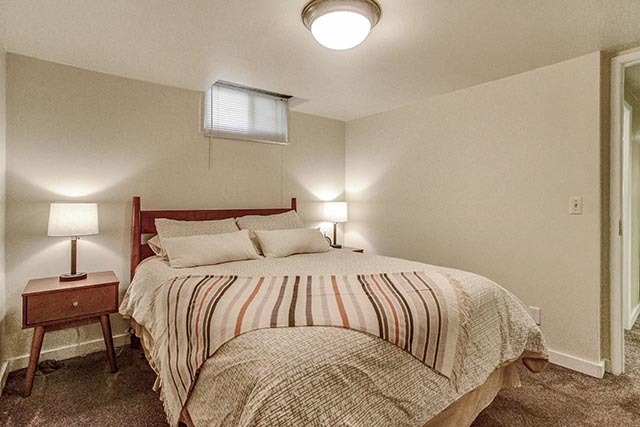 Basement offers non egress guest room, family room, spacious pantry, storage, plus a full bath. 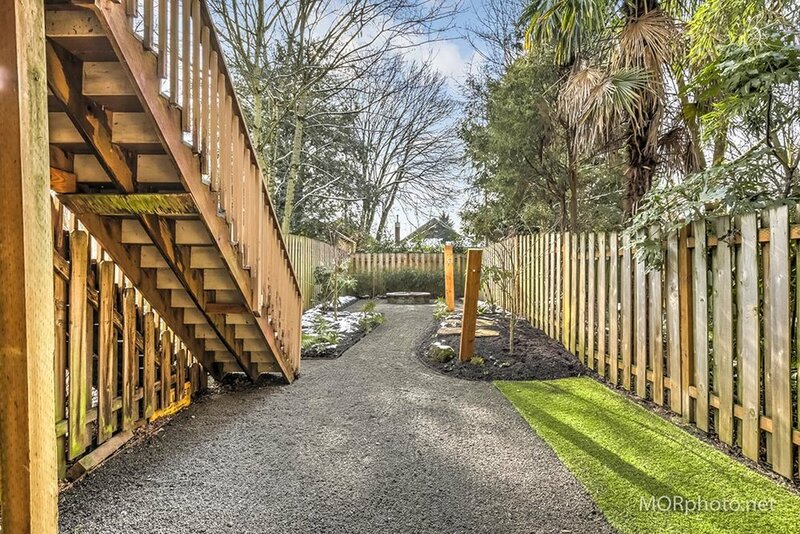 Nice big private backyard with mature landscaping and raspberries - yum! New roof on house and garage. Nice wide street close to everything! Easy access to public transit, Mt. Tabor, farmers market, food, and shops! 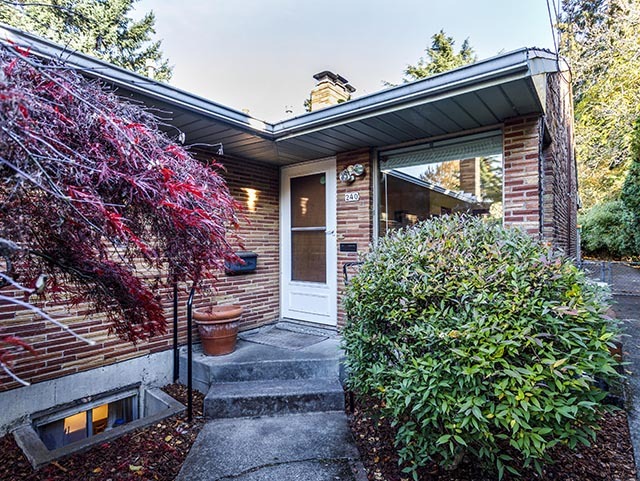 Listed by Andrew Galler & Leanne Bach.